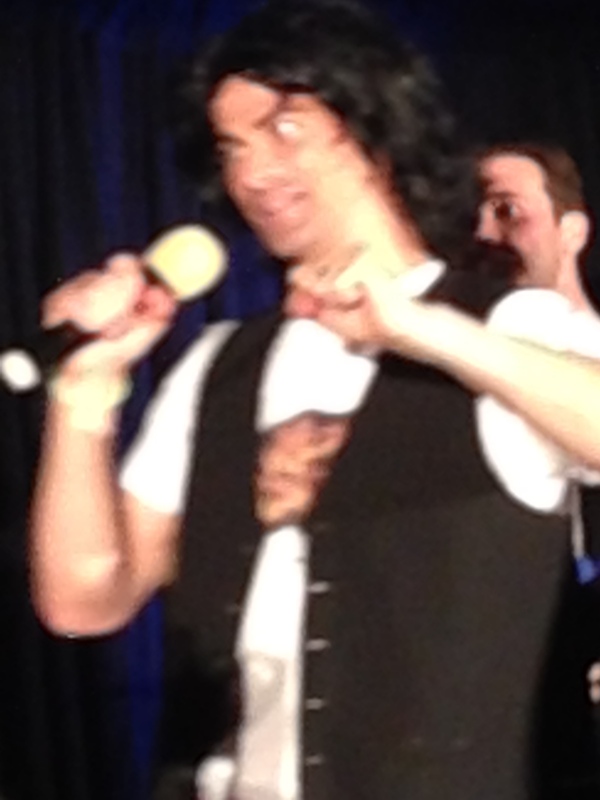 DCCon. Far from the final frontier, but these are the voyages of Jodi and her son, Jaden. 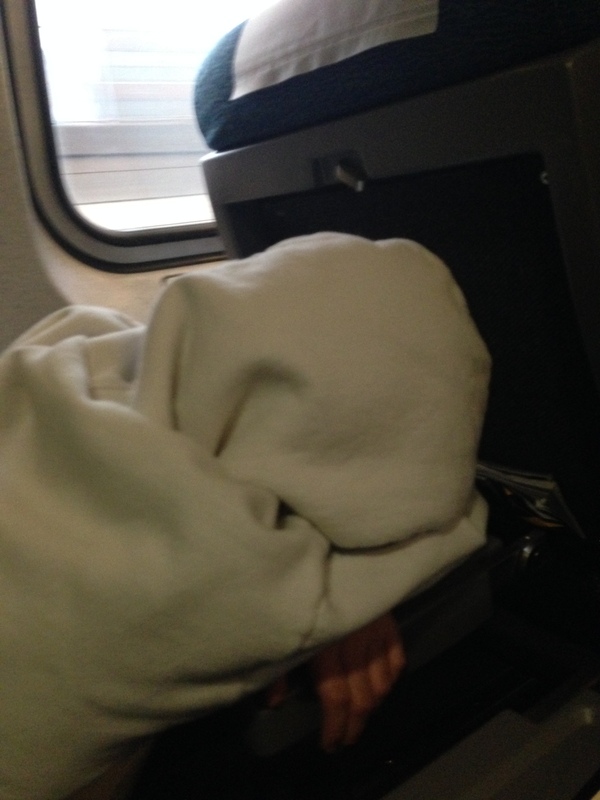 It all started out on a Thursday morning on Amtrak, trekking it down from Jersey to DC. 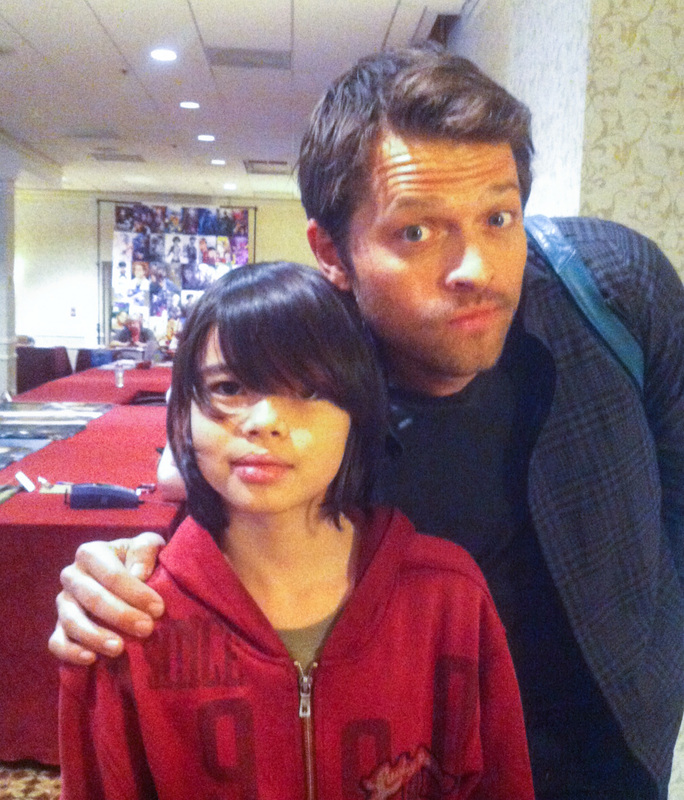 This trip to DCCon was not only another leg of my traveling jewelry tour, it was a chance to try to give my son, Jaden a decent memory from 2014. Jaden went through quite a lot from 2013 up until recently. He was bullied all throughout last year of school. We were not aware of exactly what was happening, but we knew something was wrong. Finally, during the summer, we were able to figure it out – another child was brutally bullying Jaden. Psychologically. This kid had Jaden terrorized and afraid to speak up for himself. Long story short, we pressed charges, the bully got what amounted to a slap on the wrist, but the act of standing up to this bully really empowered him. But it wasn’t enough. Jaden has spent the past school year guarded, defensive, suspicious, and hurt. He was withdrawn. We basically lost the outgoing, chatty, vibrant young man we once knew. 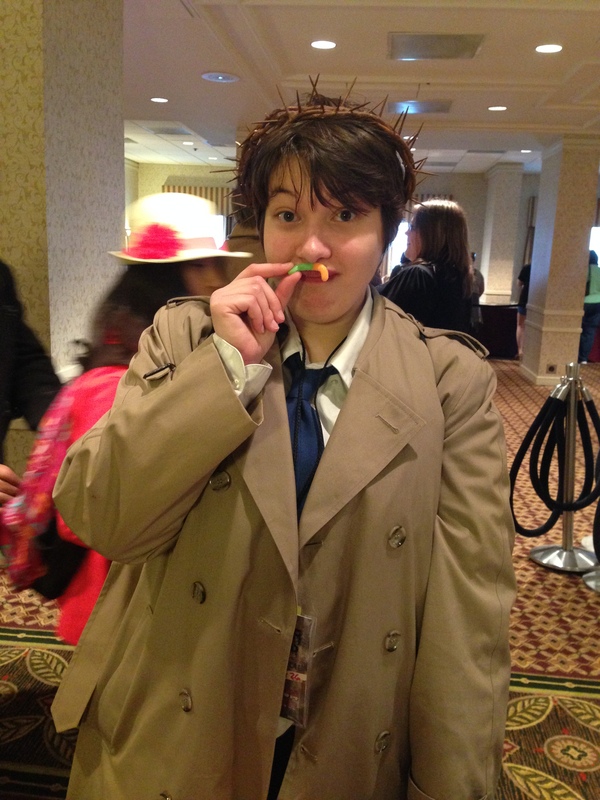 I thought taking him to DCCon would be a welcome distraction for him, especially because he truly loves Supernatural, devours the novels, and finds a welcome escape watching the episodes. Upon arrival in DC, we rushed to our hotel. Unfortunately we were staying in the spillover hotel, not the actual event hotel, but it wasn’t far away. 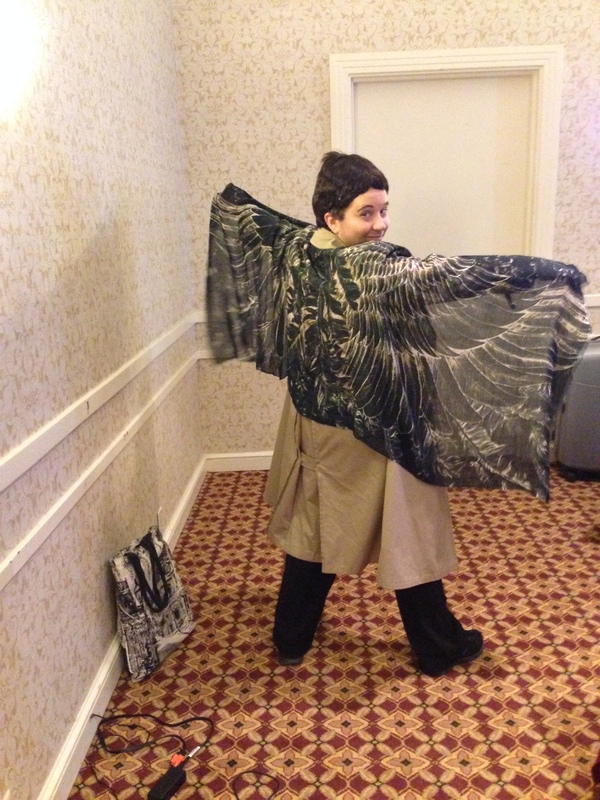 We settled in, unpacked, ate, and then went to the Con to start setting up Eldwenne’s Fantasy and Clifhangers tables. Thursday was a loooong day for us and by the time the vendor room closed for the night it was after 10:45pm – we had been on the go since 3am! 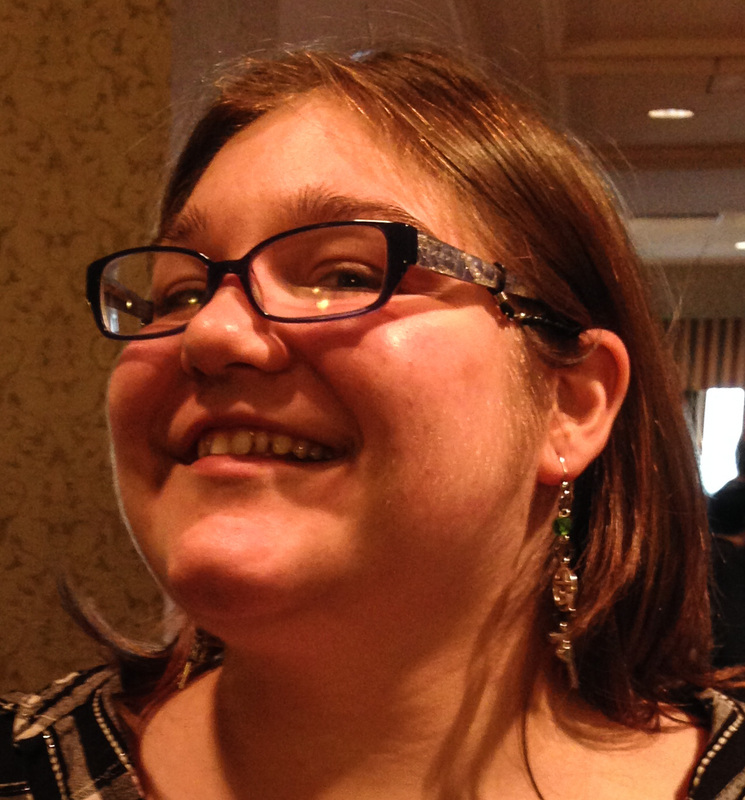 Friday was going to be a cinch – the vendor’s room was going to be open from 9:30 – 6:30. Not bad. 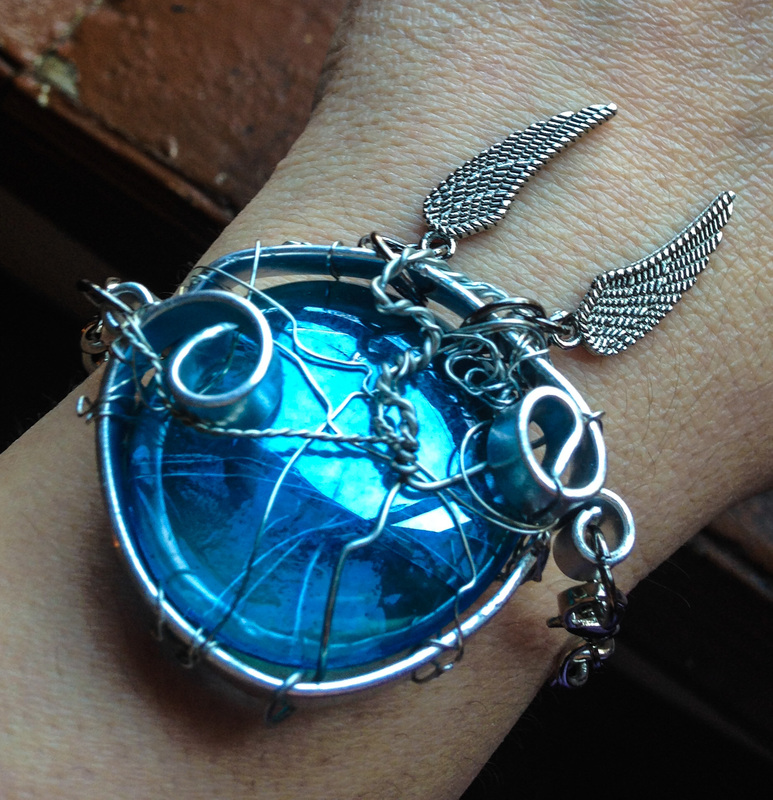 The companion bracelet to my original necklace design: Castiel’s Grace! 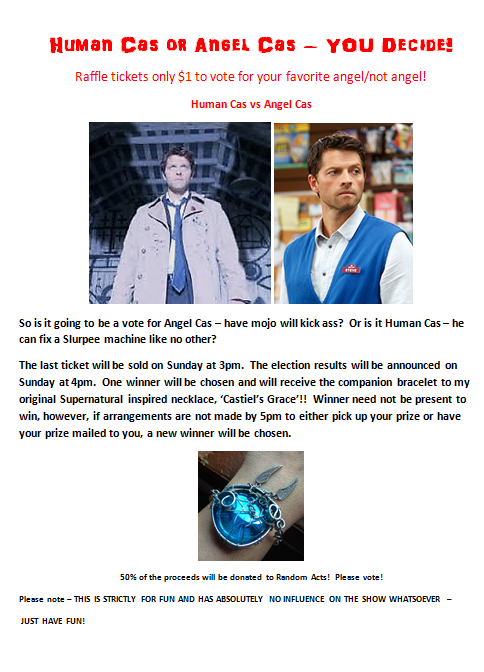 In addition to trying to win the bracelet, it was also a chance to vote for your favorite version of Cas – Angel or Human! Most importantly – half of the proceeds from the raffle were donated to Random Acts of Kindness! Everyone wins! 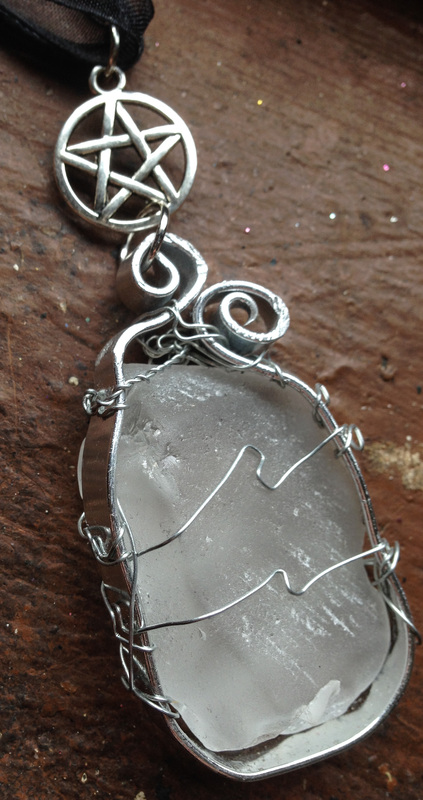 A chance to win my bracelet, vote for your fave version of Cas, and donate to Random Acts of Kindness! What were the results? You’ll find out at the end of this post! 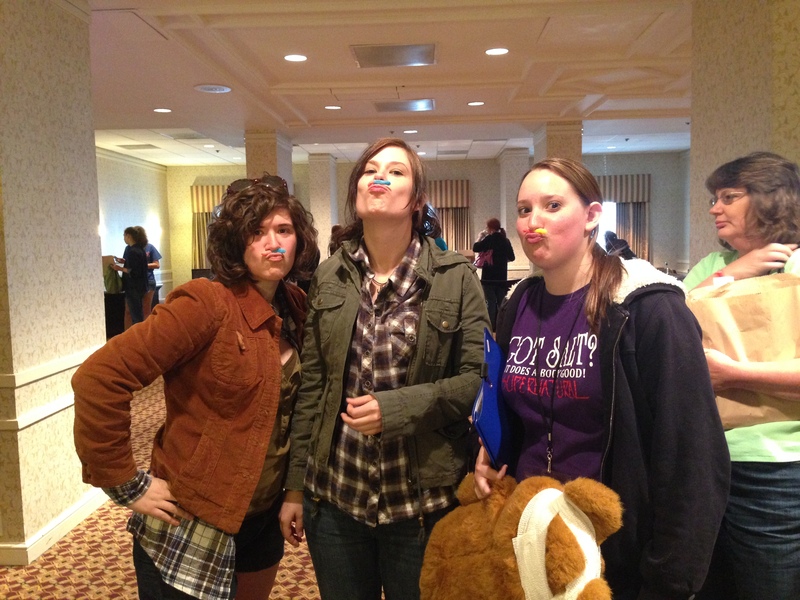 So what makes Fridays special at any Salute to Supernatural Con? KARAOKE PARTY!!! Jaden was up to going. So we went. And oh. My. GOD! 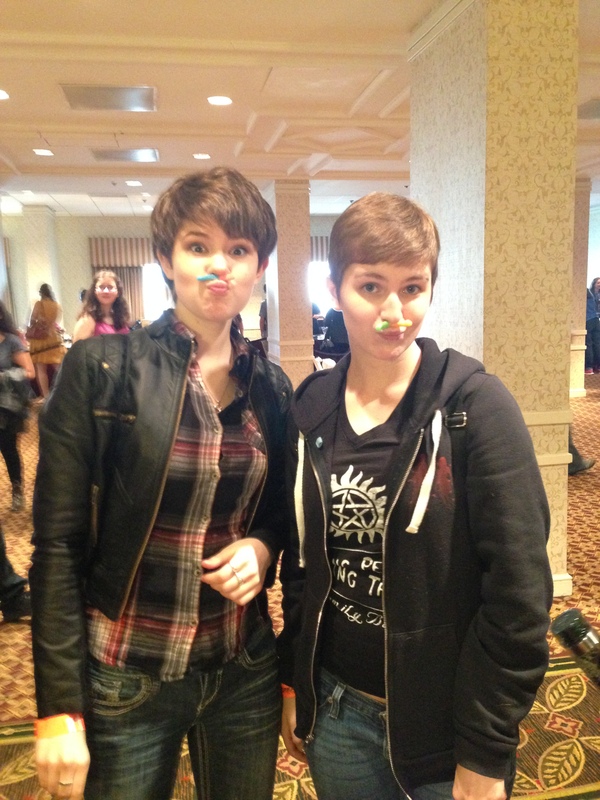 This event really solidified to me how wonderful Supernatural fans are. I can’t count how many lovely people saw Jaden and me and shooed us up to the front of the crowd so that he could see. We didn’t ask anyone, we didn’t complain, people just went out of their way to give Jaden an amazing experience. I cannot thank all of you enough for that! 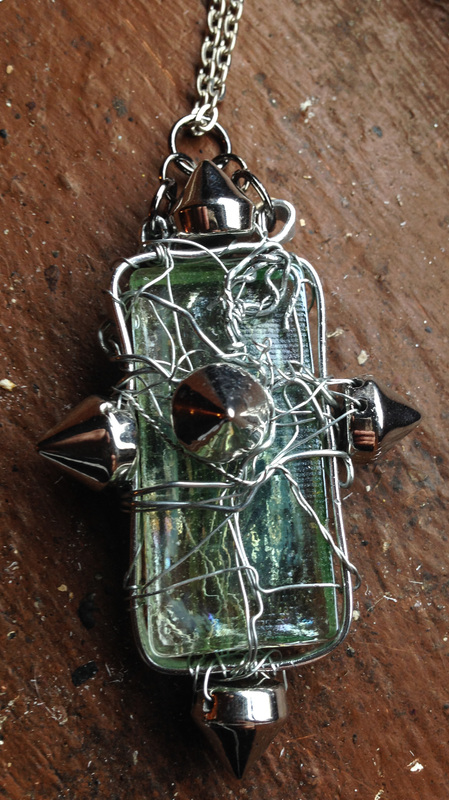 It really epitomizes the generous and giving spirit Supernatural fans have. 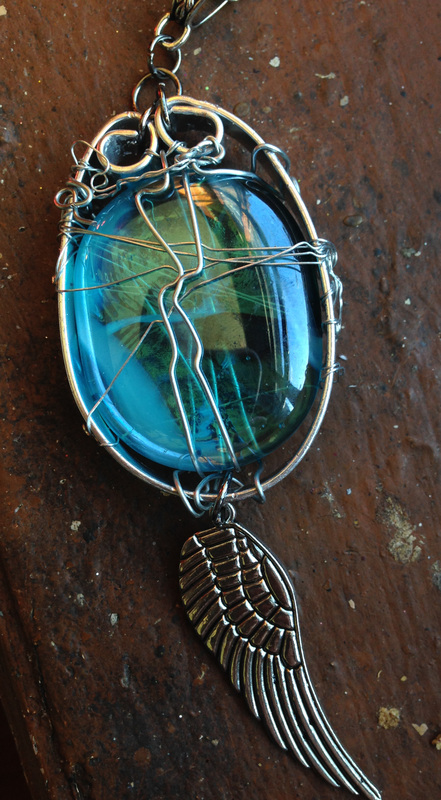 I’m so proud to be a part of the SPN Family. 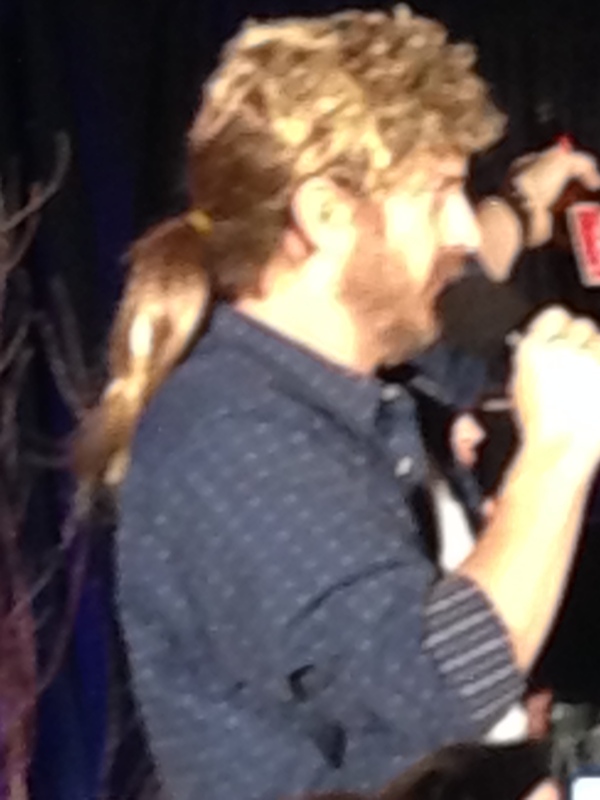 Richard Speight Jr – a man and his wig. 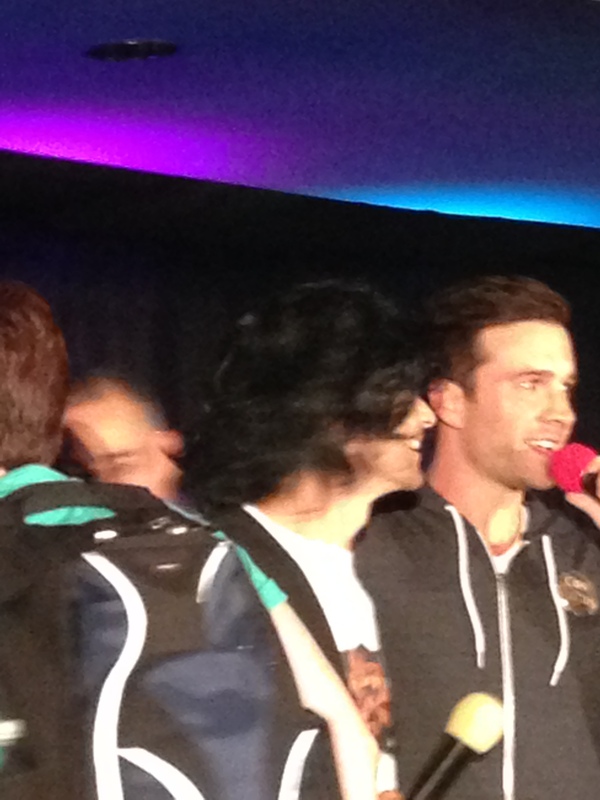 Father and son karaoke – the first time John and Henry Winchester are onstage together! 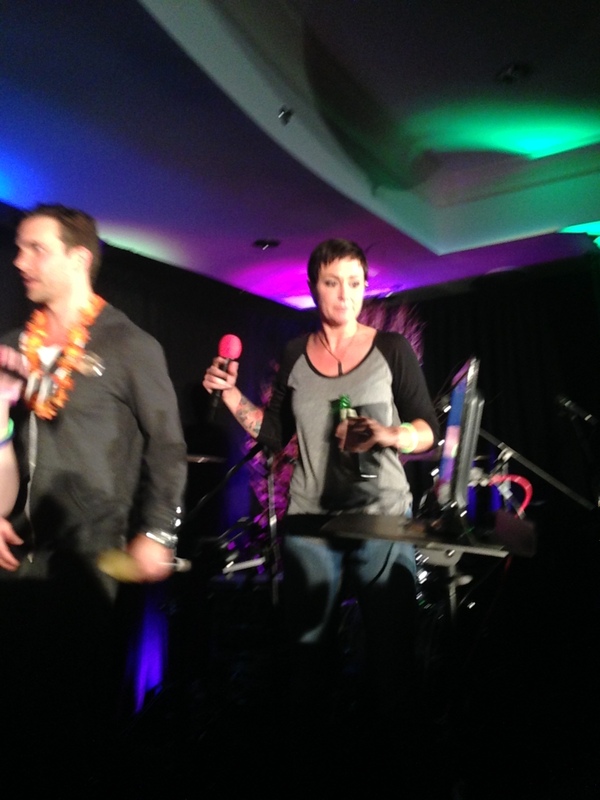 The beautiful Kim Rhodes rocking out on stage! 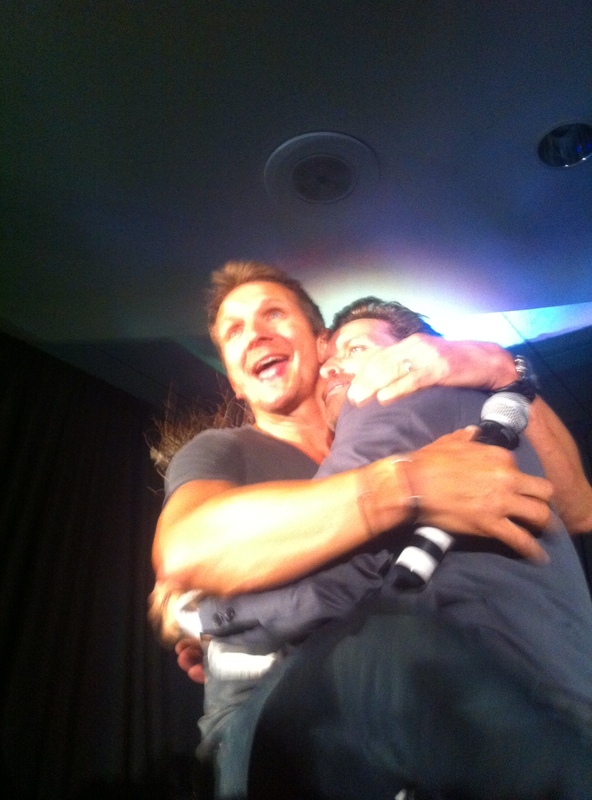 Some angel and prophet love – Sebastian Roche happy to see Rob Benedict! 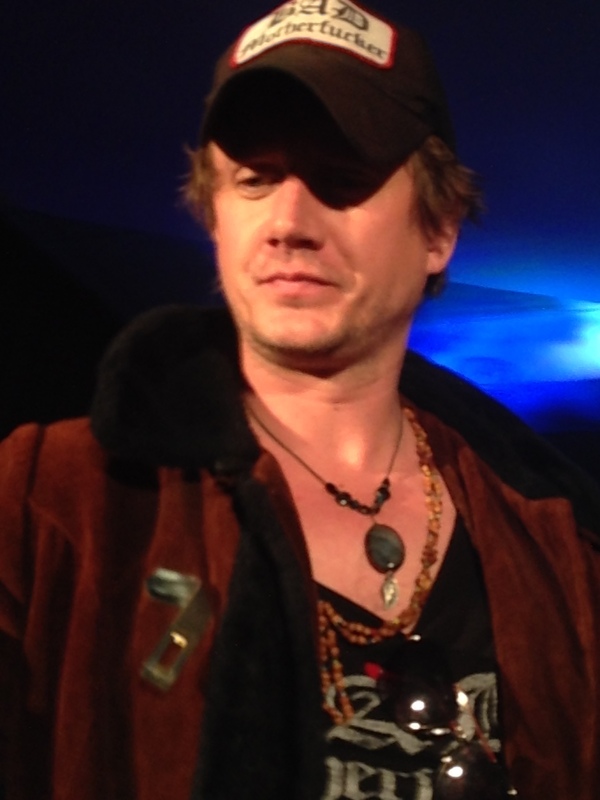 VERY lucky to snap this one of Dr. Badass himself – Chad Lindberg! The Rock Goddess – Stephanie with Richard Speight Jr – if you haven’t heard her rendition of “Time Warp” you have not lived!! You also need to check out her frigging amazing band – Samurai Fish! 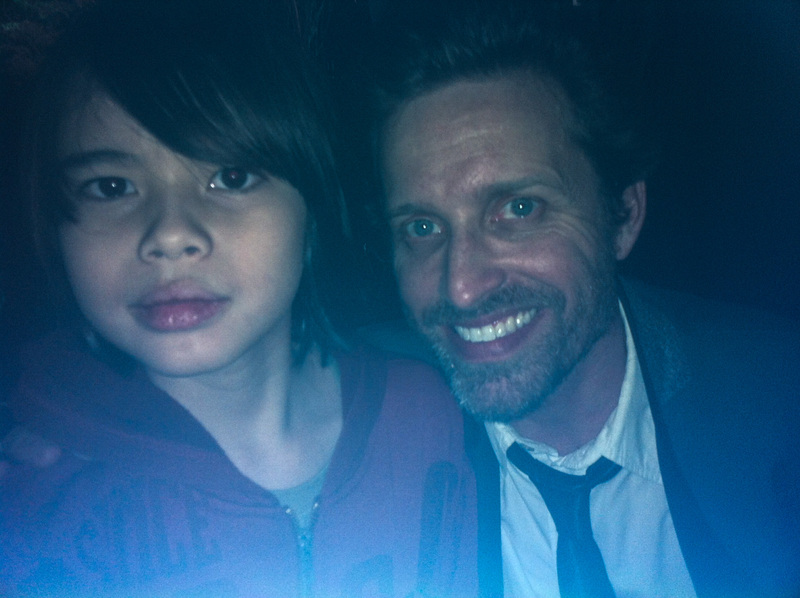 Jade getting to meet Rob Benedict at Karaoke. Rob is AMAZING – thank you!! Saturday is always the long day for us vendors – it’s usually an 11 hour day. Jaden slept under the Clifhanger table for a bit, lol! Then he went off to some panels. 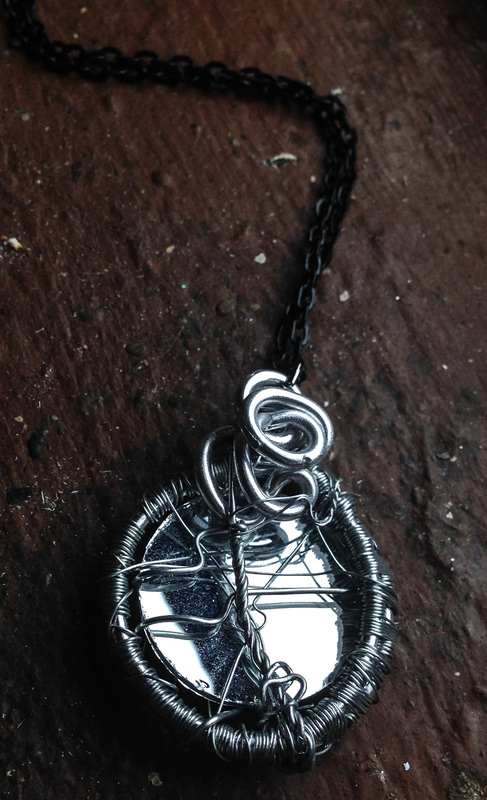 Saturday was the big day where a lot of people began to notice my Supernatural Inspired necklaces – it was quite an amazing reaction and I’m so pleased with how many of you came by to admire my work! 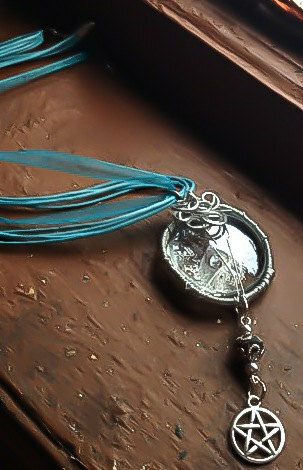 I always say that the biggest compliment I could ever receive is to see someone wearing a piece of mine. 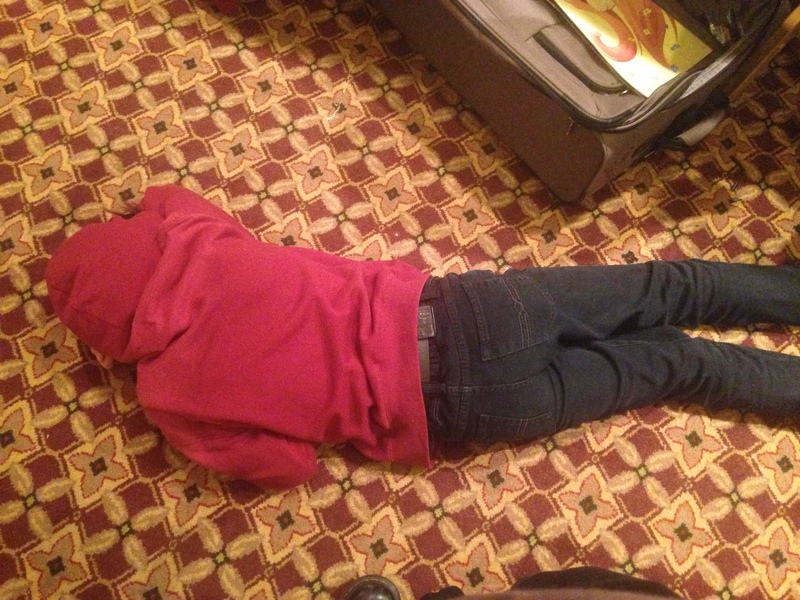 I was floored for the entire weekend!! 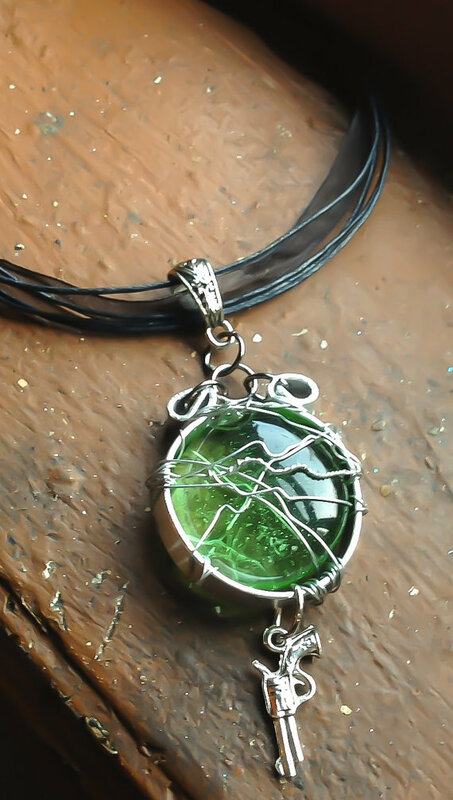 Castiel’s Grace is still the all-time favorite! 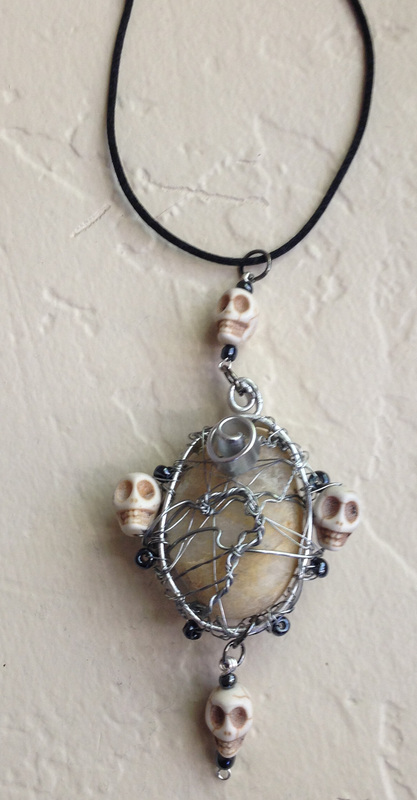 If you happened to buy a piece from me at the convention – send me a pic!! I’d love to feature you – like these beautiful ladies! 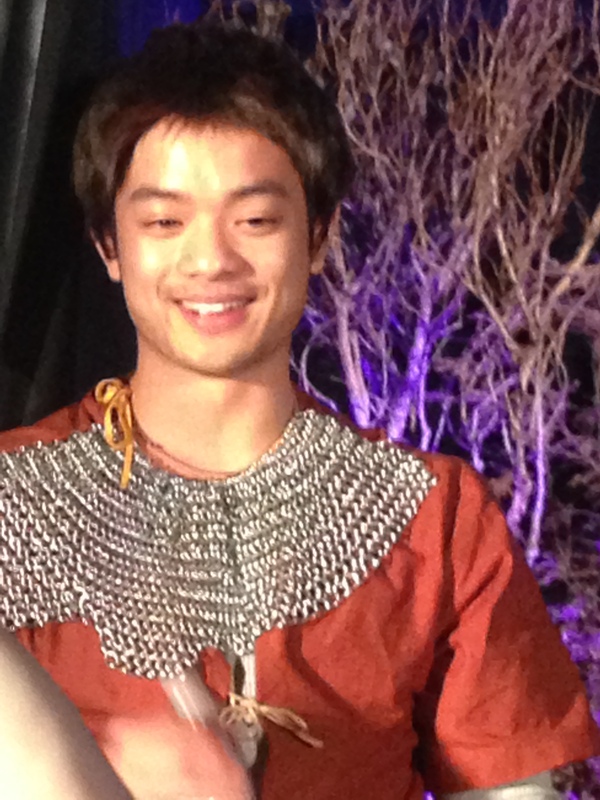 Wearing The Impetuousness of Balthazar! 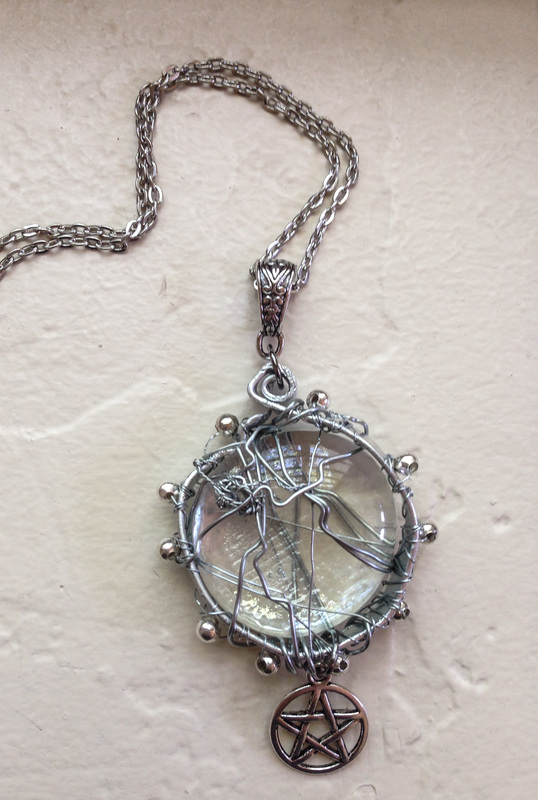 This young lady bought my pride and joy – The Winchester Family Tree necklace! 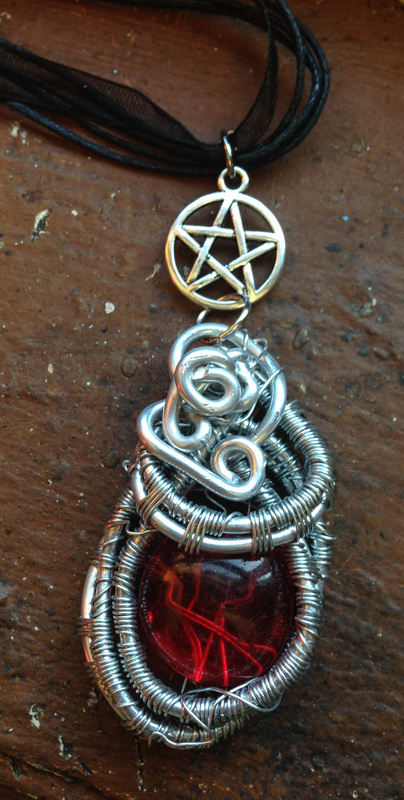 The Winchester Family Tree went to a good home! 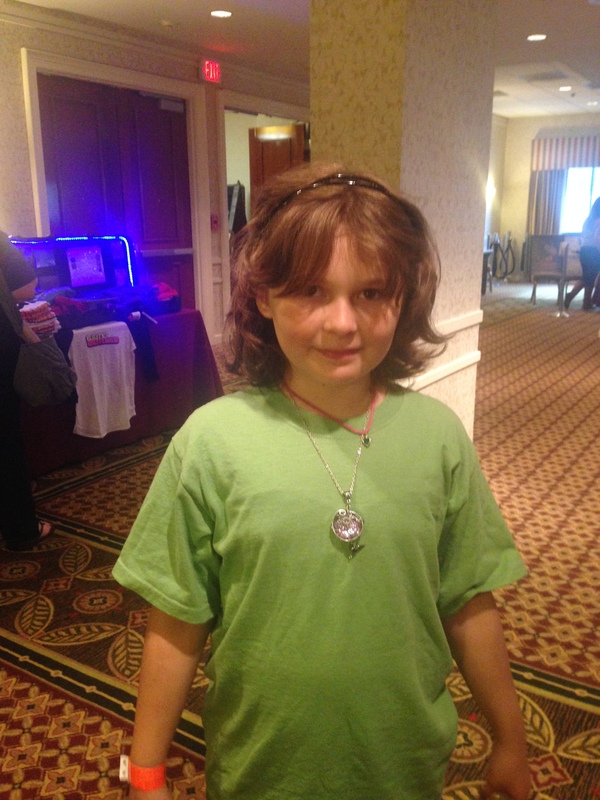 This cutie loved my Sacrifice of Mary Winchester necklace! Dr. Badass! 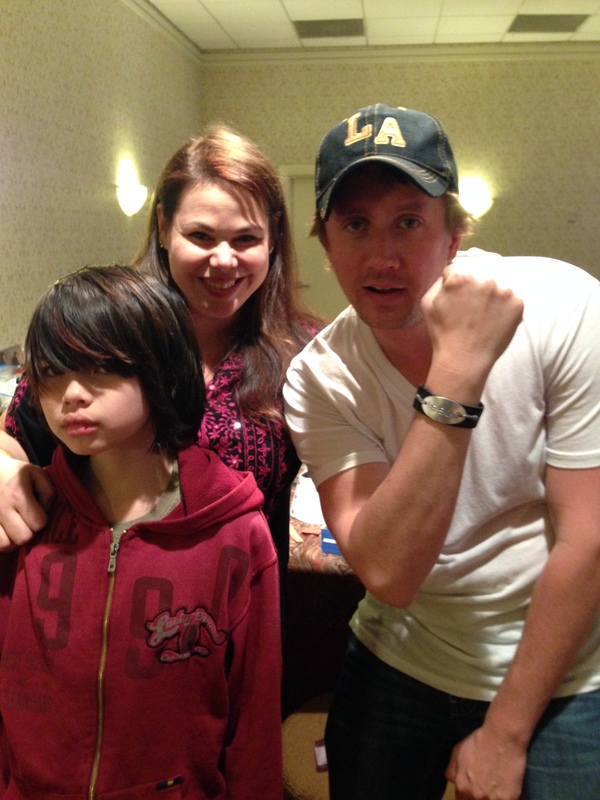 Wearing his Dr. Badass bracelet I made him! This whole weekend was so incredible for both Jaden and me. I finally saw Jaden smile for the first time in months. And who put that smile there? Not just the amazing cast of Supernatural, but YOU! The fans treated him so well and restored his faith that there are genuine, good people out there! 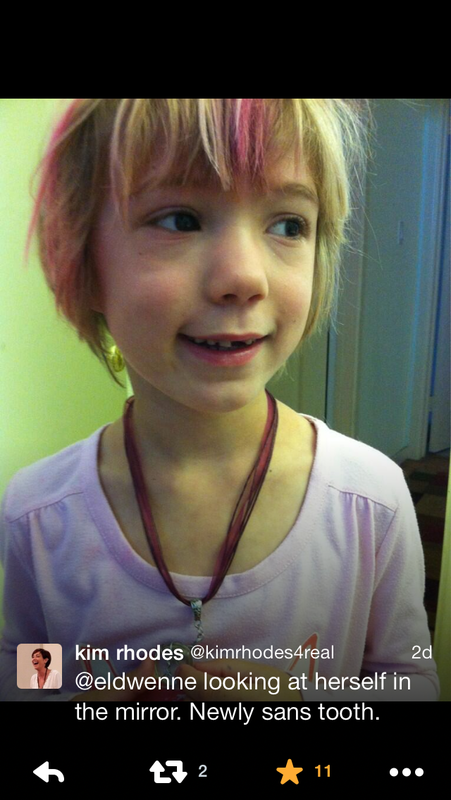 Kim Rhodes was super amazing and tweeted this pic of her beautiful daughter wearing a necklace I made for her! 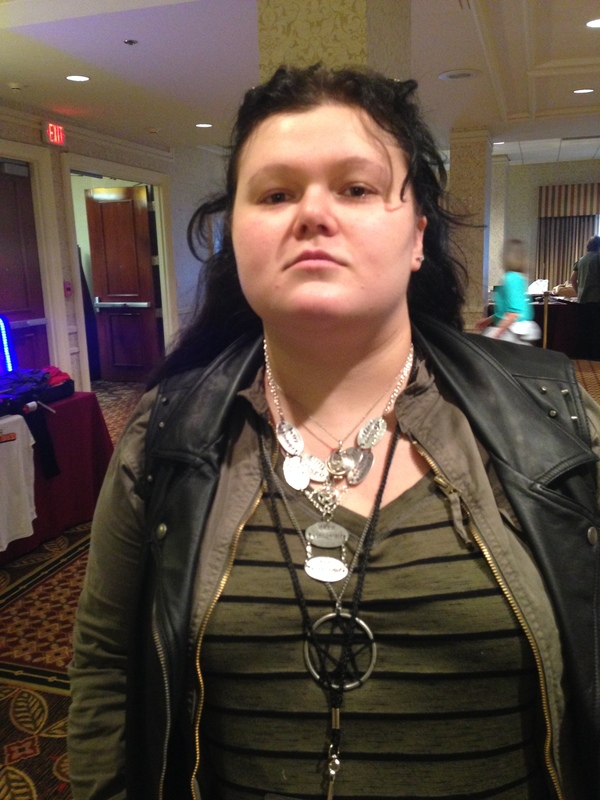 Kim Rhodes’ daughter, wearing the necklace that matches the one I made for her mommy at VegasCon! So without further ado, I’d be remiss in not including my Wormstache Brigade! 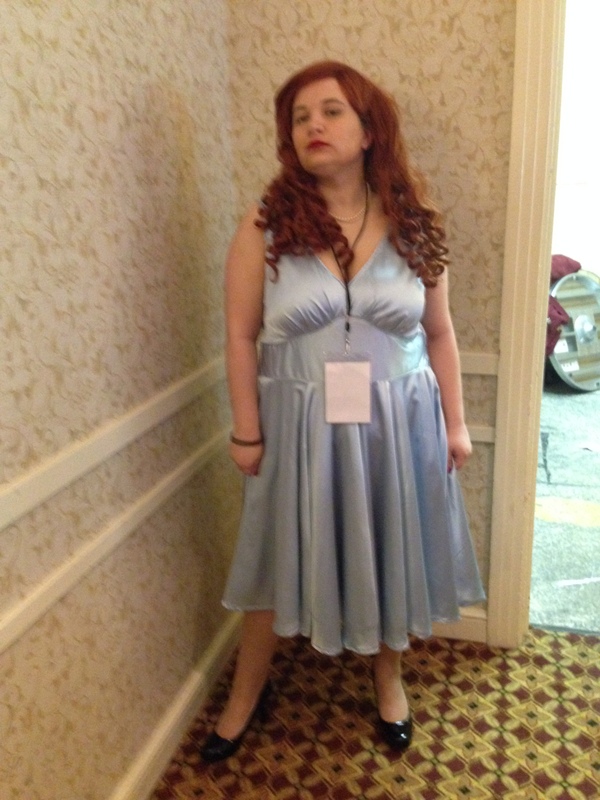 And I also want to highight some pretty frigging amazing cosplay by Mel! And lastly – the memories my son will have for a lifetime! 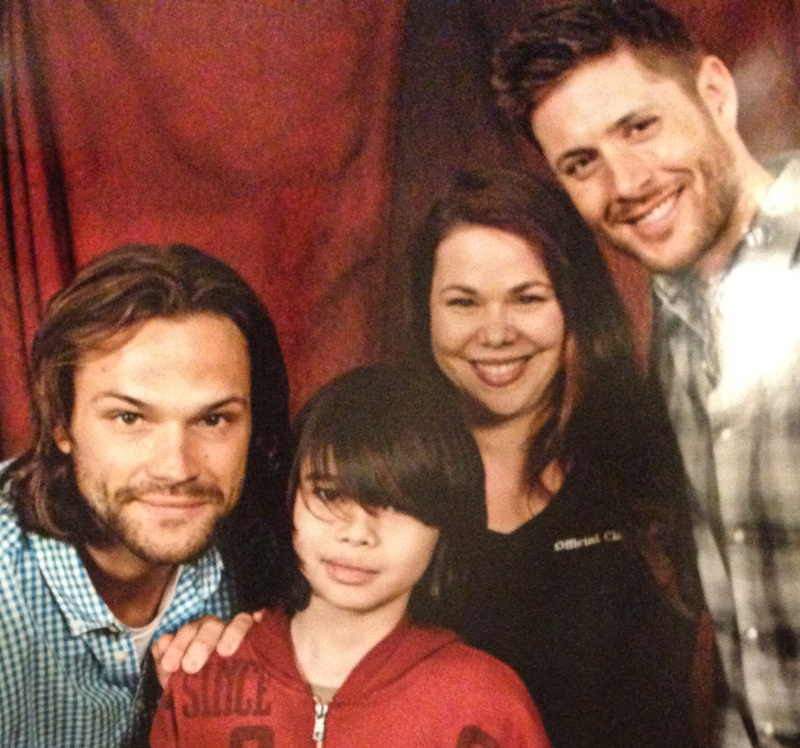 Jared and Jensen got Jade to smile! The results of the vote: Human Cas got 14% of the vote. Angel Cas received a whopping 84%! Thank you Creation, Kim Rhodes, Chad Lindberg, Gil McKinney, Rob Benedict, Osric Chau, Jared Padalecki, Jensen Ackles, Misha Collins, and all of you amazing human beings who made DCCon the best experience for Jaden! The next few weeks will be intense as I prepare for a six week stint in Nashville, preparing for my Teach for America training. Wish me luck and I’ll talk to ya’ll soon!